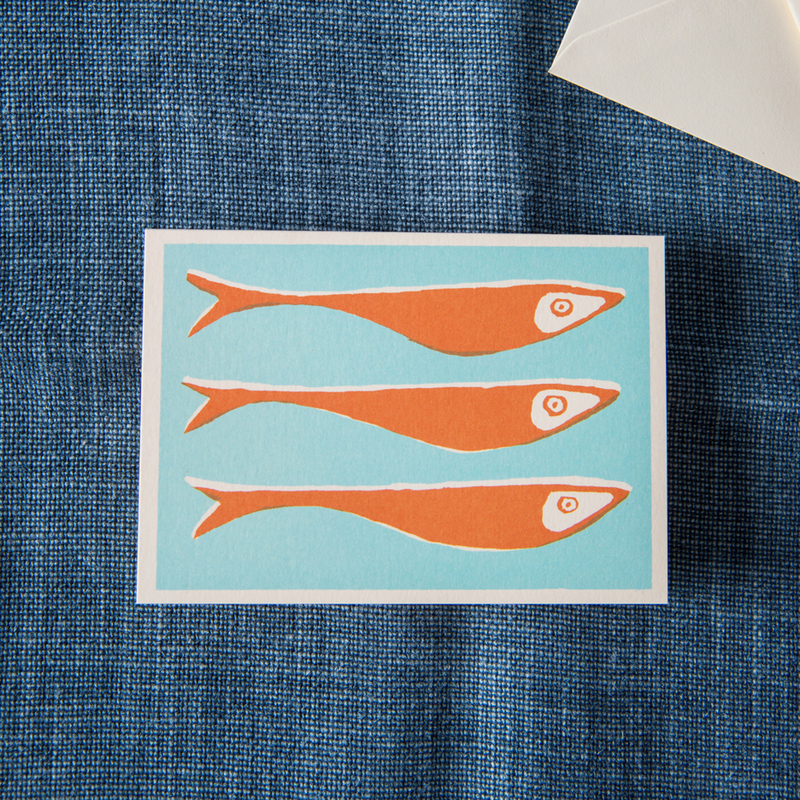 These striking cards with a hand blocked feel are a joy to write and send or receive. 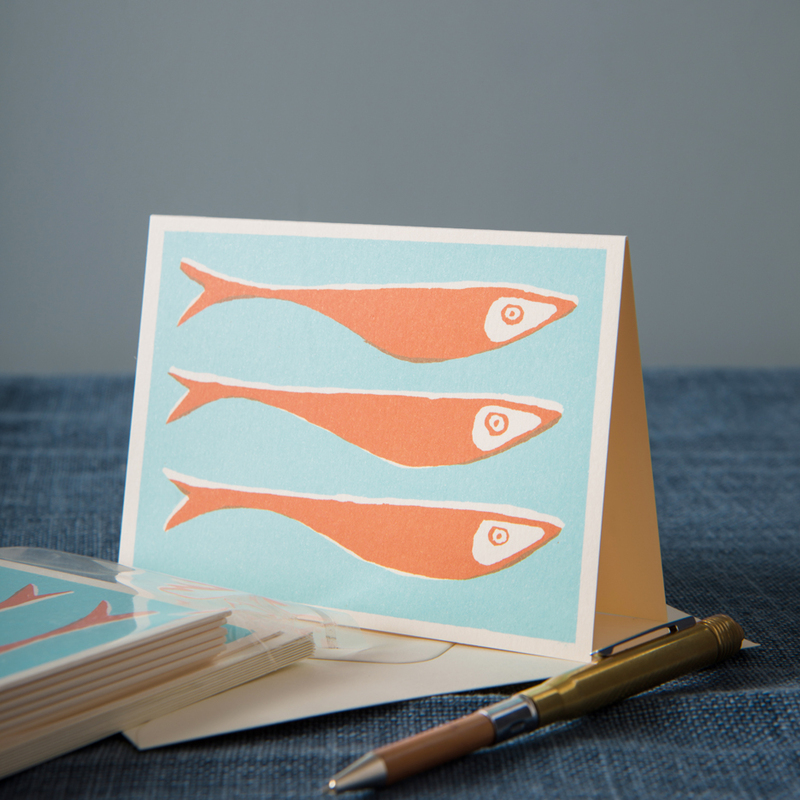 The bold and graphic fish design, printed in bright turquoise and orange, creates a strong mid-century feel. 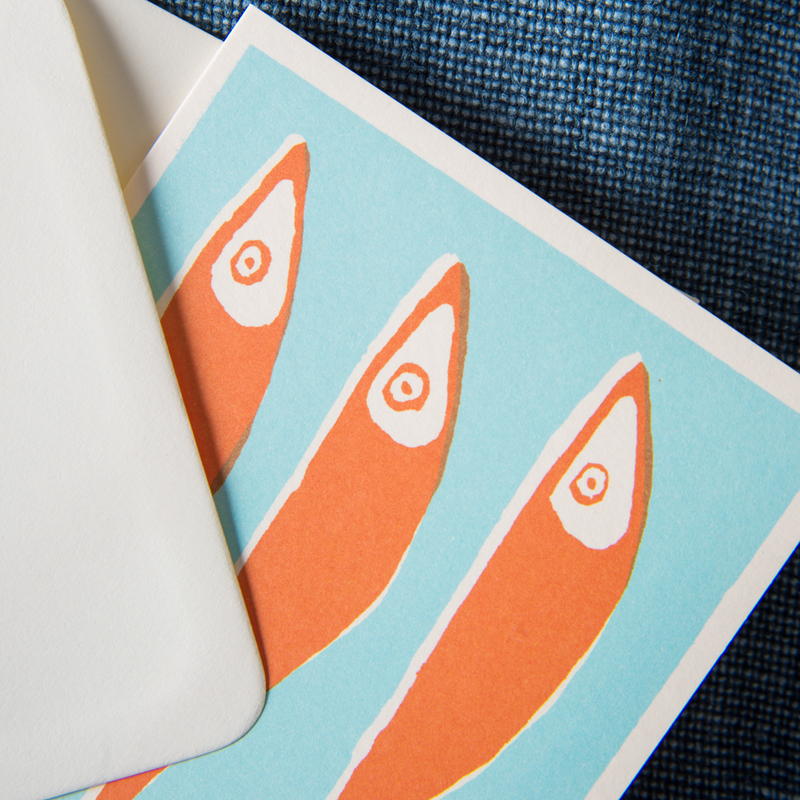 The cards are designed and printed in the UK on heavyweight, uncoated paper to produce a smart, matt finish.